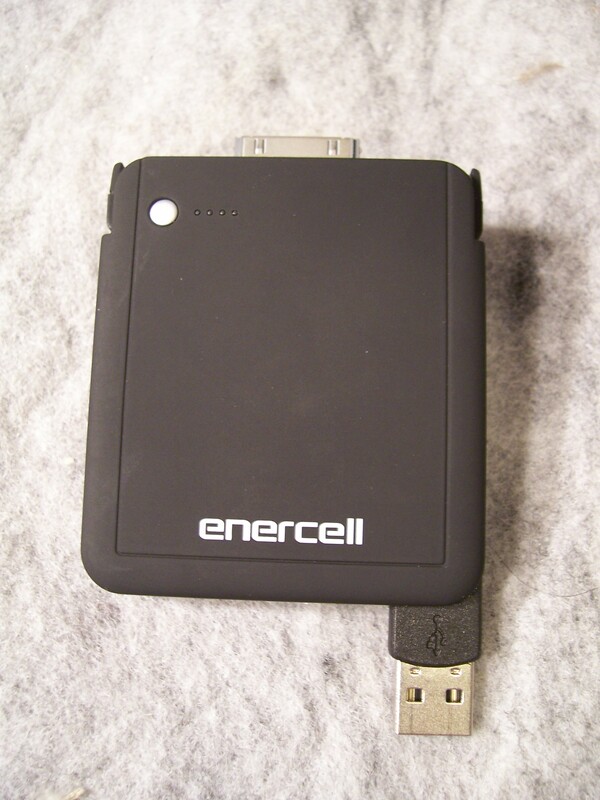 Enercell‘s Portable Power Bank for iPod and iPhone is conveniently compact, at 2.4″ x 2.9″, and just half an inch thick. 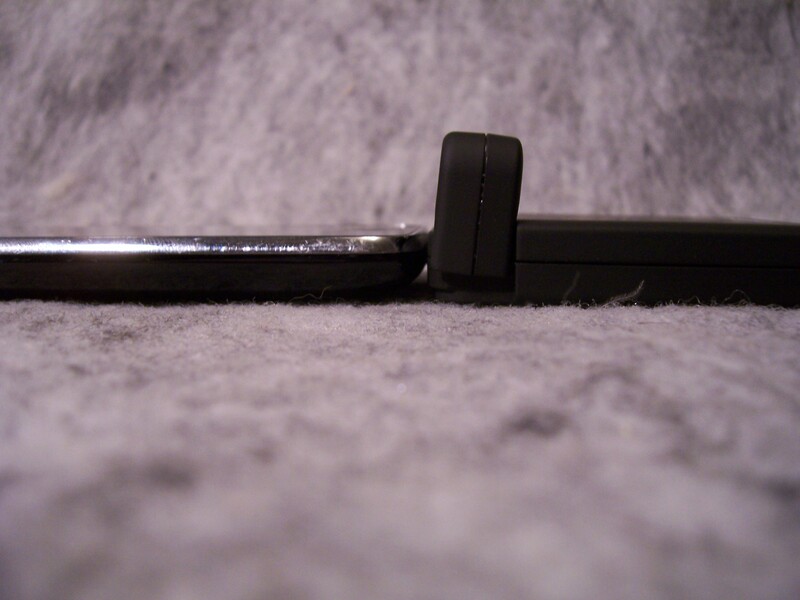 That puts it at the same thickness and width as an iPhone, and about 2/3 the length. It charges itself through a USB connector that conveniently folds out from its case, meaning there are no extra cords to lose. The Apple 40-pin connector is concealed by a fold-away cover that protects it when not in use, and it has a handy power meter on the front that only activates when a button is depressed. 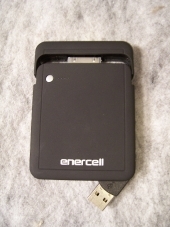 Folded up, it fits easily into a pocket or purse, but the short USB connector will be inconvenient for any user that doesn’t have USB ports on the front of their computer (or any other easily accessible place). Its form factor is no accident – it lines up almost perfectly with the smaller iDevices. 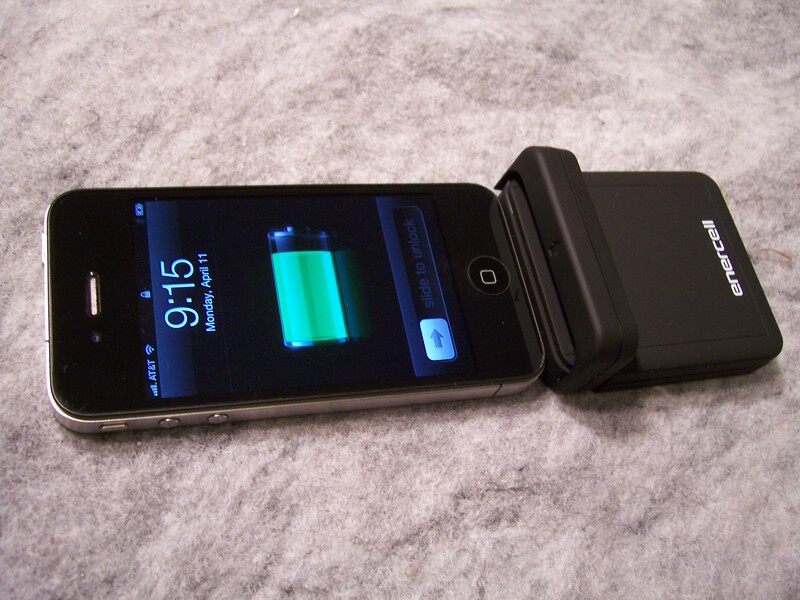 While it’s plugged into an iDevice, it makes the iPhone or iPod very unweildy, so it’s best left on the table while it recharges the internal Apple battery. That shouldn’t be a problem for most users, as in my tests it recharged the iBattery in about an hour or so. The 40-pin connector snaps into the Apple device exactly as it should, leaving no doubt whether it is engaged or not. However, the fold-away cover for the connector doesn’t have much of a place to go, and is left sitting at an awkward angle perpendicular to the rest of the platform. It’s not a problem if it is left on the table, but it makes sliding it into a pocket even more unmanageable than the combined length of the devices. At 7.5″, it makes a great lever for breaking the 40-pin connector while it’s plugged in, so treat with care. 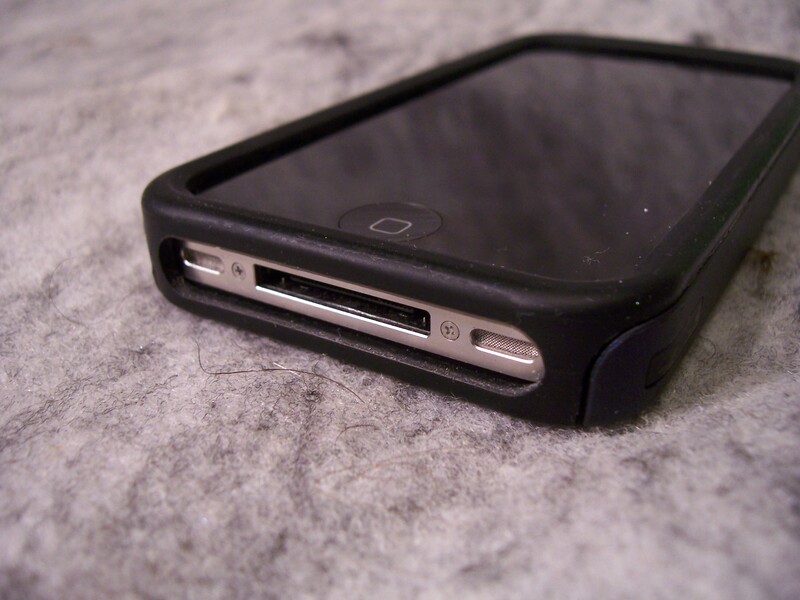 However, I did run into a minor problem: The case I use on my phone (an Innocase Active made by Seidio) has a protective protrusion of rubber surrounding the 40-pin connector area. This prevented the power bank from connecting flush to my phone, which wouldn’t let it get plugged in firmly. 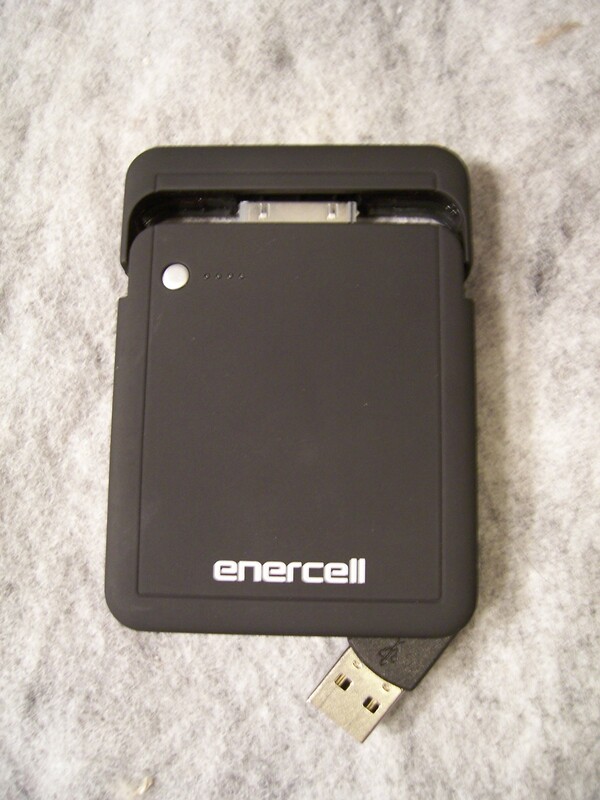 I had to remove the case in order to recharge the phone, which isn’t a small feat with that case. 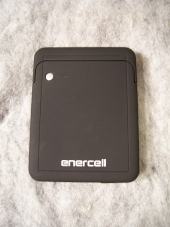 While not all cases are so obtrusive, examine your own case when condsidering the Enercell Power Bank, and whether it will be an issue to remove the case when you need to charge.